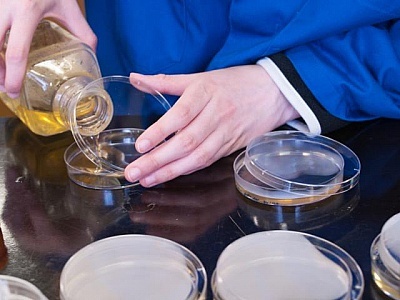 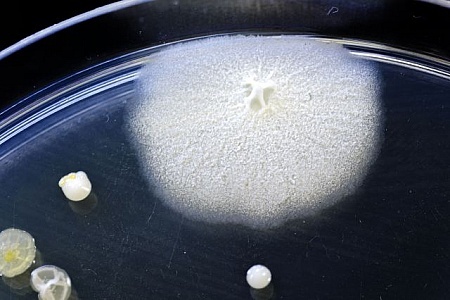 Different shaped colonies of bacteria, yeast and mold growing on agar plates from enviromental samples. 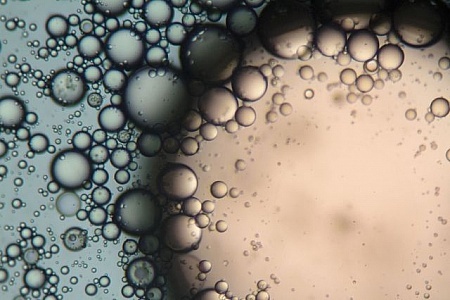 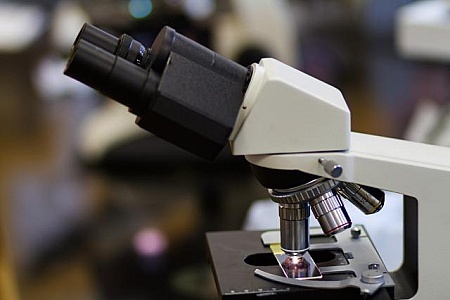 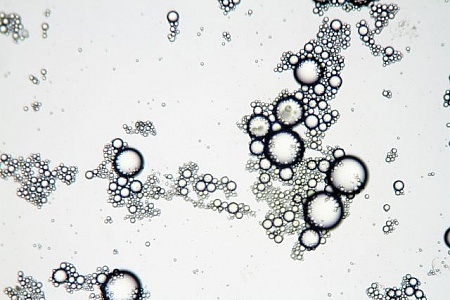 Mixture of soap and oil viewed under the microscope. 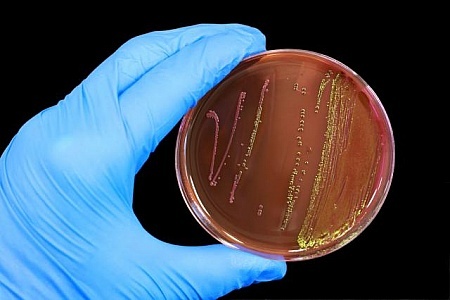 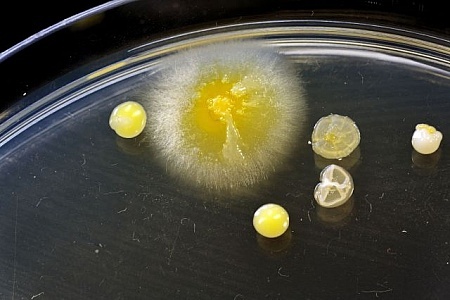 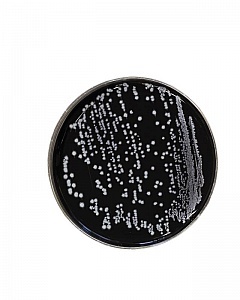 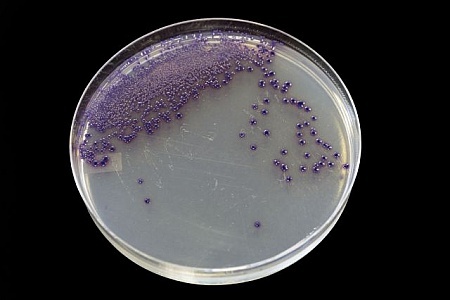 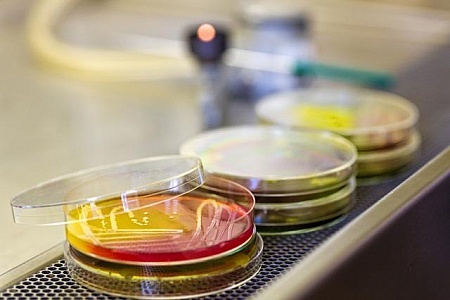 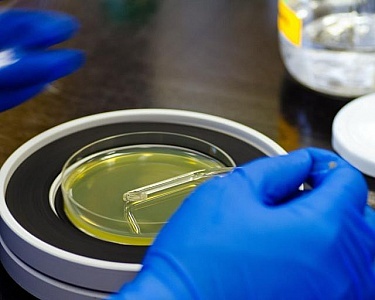 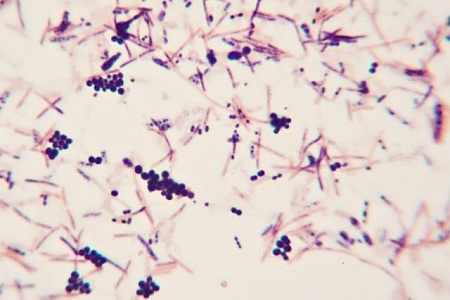 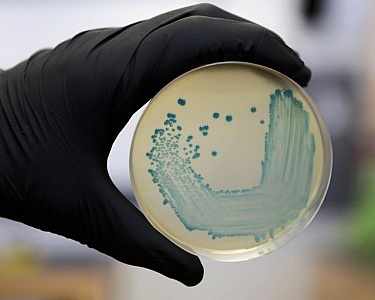 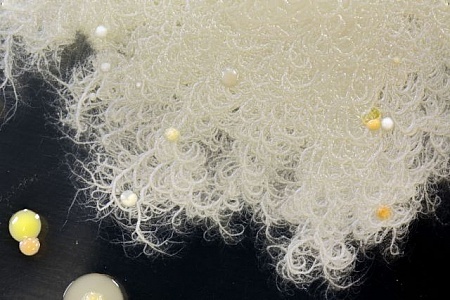 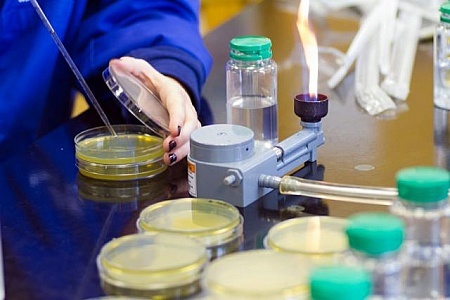 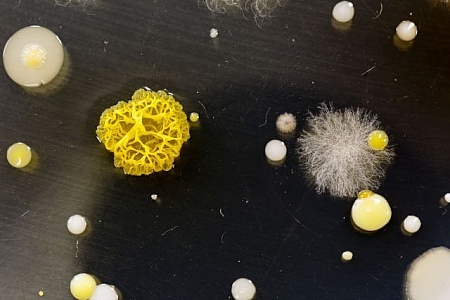 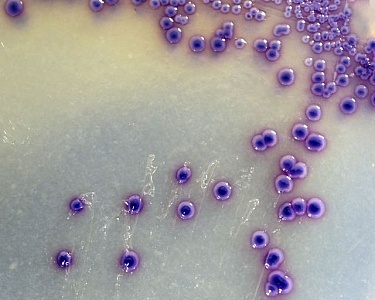 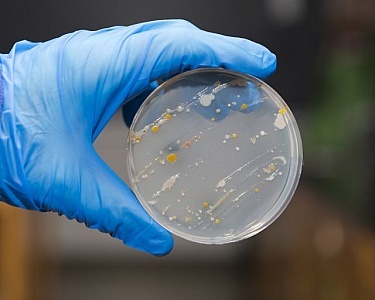 Food safety pathogen E. coli growing on an agar plate. 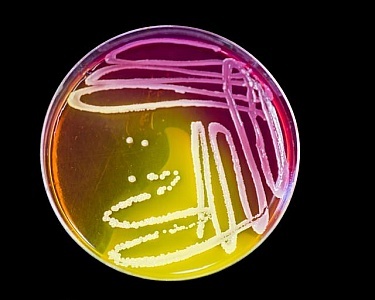 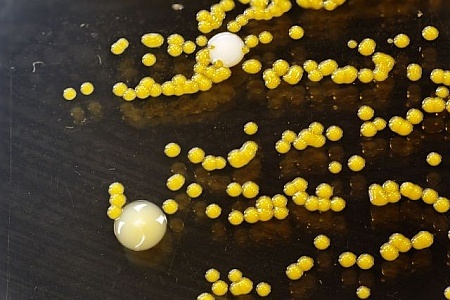 Food safety bacteria pathogenStaphylococcus aureus growing on Baird Parker agar with egg yolk and tellurite. 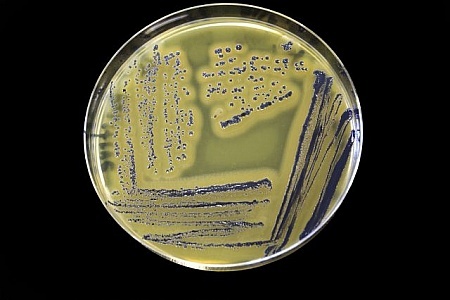 Sewage bacteria growing on an agar plate. 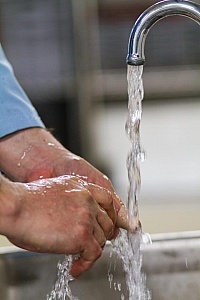 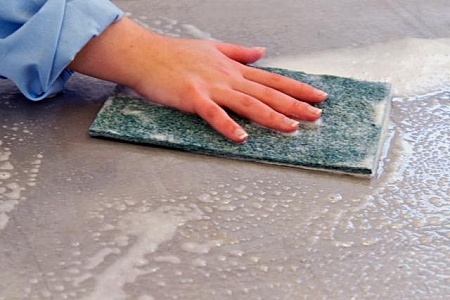 Using a green pad to clean a commercial surface.